Top Gear fans are gearing up to see what the British car show will be like, now that Jeremy Clarkson, Richard Hammond, and James May have left. And, after the first trailer for the new show got a whole bunch of negative reactions on social media, the show has decided to give this whole trailer thing another go. 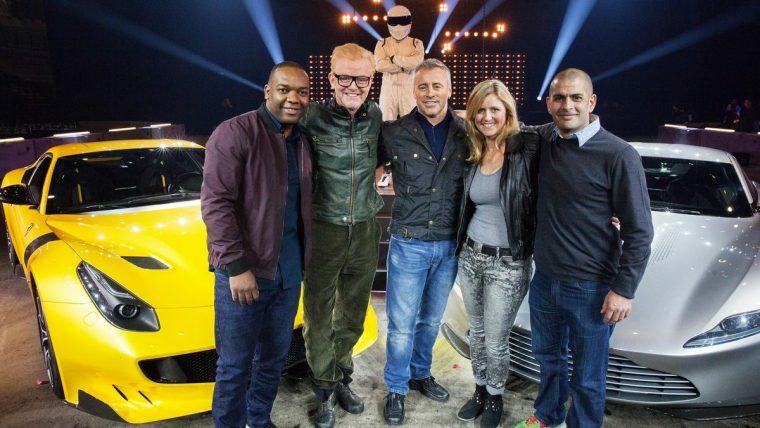 The newest Top Gear trailer starts off with Chris Evans and Matt LeBlanc looking online for some new cars. As LeBlanc swipes through the available online options, he references car shopping to looking for a hookup on Tinder. Because, really—what television trailer isn’t complete with a reference to Tinder? As the trailer progresses, though, we get a pretty good glimpse of what’s to come from the new team of Top Gear hosts. Filming for the new cast has taken place all across the world, including in the United States, Abu Dhabi, Morocco, and—no one should be surprised with this one—the United Kingdom. We also got a good look at the wide range of cars that are going to be featured throughout the show, and we’re still mopping up the drool. The list of cars that make an appearance in the trailer include the Aston Martin Vulcan, Ferrari F12tdf, Rolls-Royce Dawn, McLaren 675LT, Viper ACR, and Ford Mustang. The list of cars could go on, but we don’t want to spoil things for you. The new Top Gear, which now has a total of six hosts including Evans and LeBlanc, will kick off in the United States on BBC America on May 30th. Along with the new cast of hosts, there will be a number of changes to the show, including the replacement of the beloved “Star in a Reasonably Price Car” segment with “Star in a Rallycross Car,” which will allow celebrities to race around a rallycross zone, a water splash area, and over a jump.